A veteran Border Patrol Agent in Texas shot and killed an undocumented immigrant who was part of a group engaged in "illegal activity" that "rushed" the officer, the agency said, shifting from an earlier statement that the officer was attacked "using blunt instruments." The woman, identified in an Associated Press report as Claudia Patricia Gomez Gonzalez, was allegedly part of a group allegedly attempting to cross the border into the U.S. around midnight on Wednesday near Rio Bravo, Texas. The group were described as "illegal aliens" involved in "illegal activity," according to a statement released by the Border Patrol. 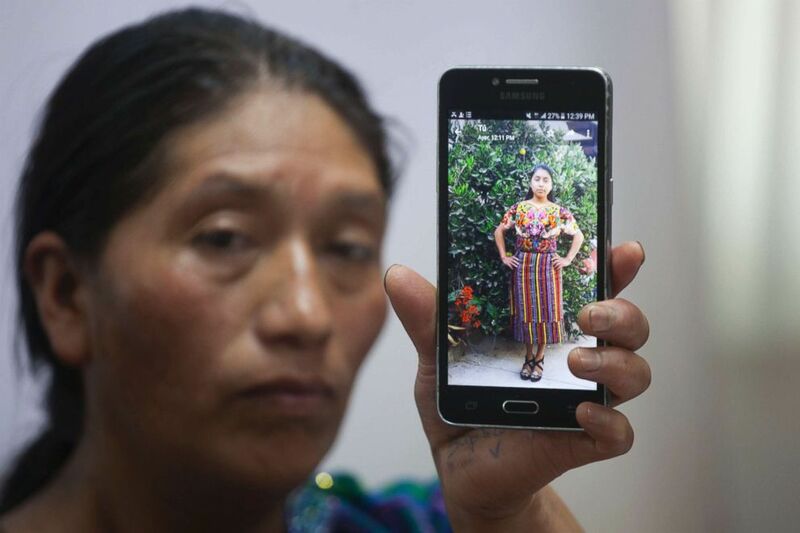 Dominga Vicente shows a photo of her niece, 20-year-old Claudia Patricia Gomez Gonzalez, during a press conference at the National Migrants Commission headquarters in Guatemala City, May 25, 2018. 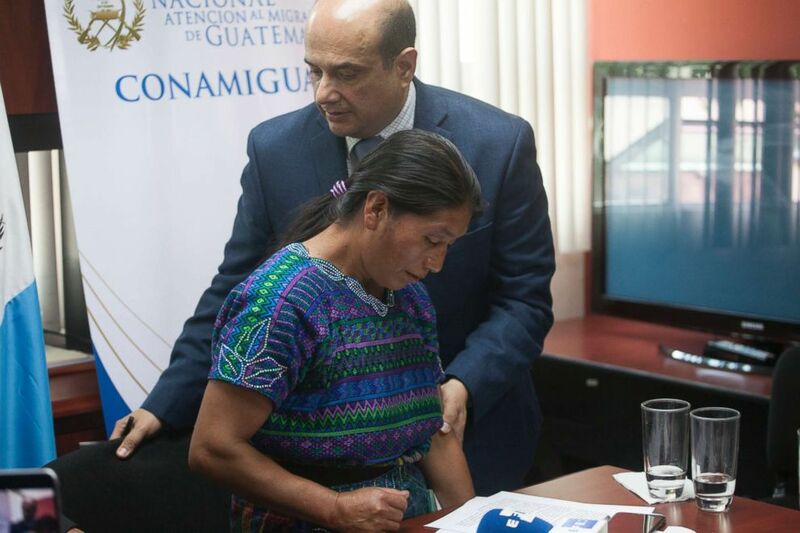 Gomez's aunt, Dominga Vicente, said her niece migrated to the U.S. to escape poverty in her native Guatemala, the AP reported. Guatemala's foreign ministry both confirmed Gomez's identity and condemned the shooting, according to the AP. The agent said the group of immigrants ignored the his demands to "get on the ground" and "instead rushed him," according to the second statement by the agency. "The agent discharged one round from his service-issued firearm, striking one member of the group" as others in her group fled, the statement reads. Dominga Vicente, front, is comforted by the National Migrants Commissioner Carlos Nares during a press conference in Guatemala City, May 25, 2018. But agents managed to catch three people described in the statement as "three illegal aliens related to the incident." Medics were called to the scene and attempted to resuscitate the woman, according to the statement. Border Patrol's initial statement said the agent "attempted to apprehend the group," but "came under attack by multiple subjects using blunt objects." 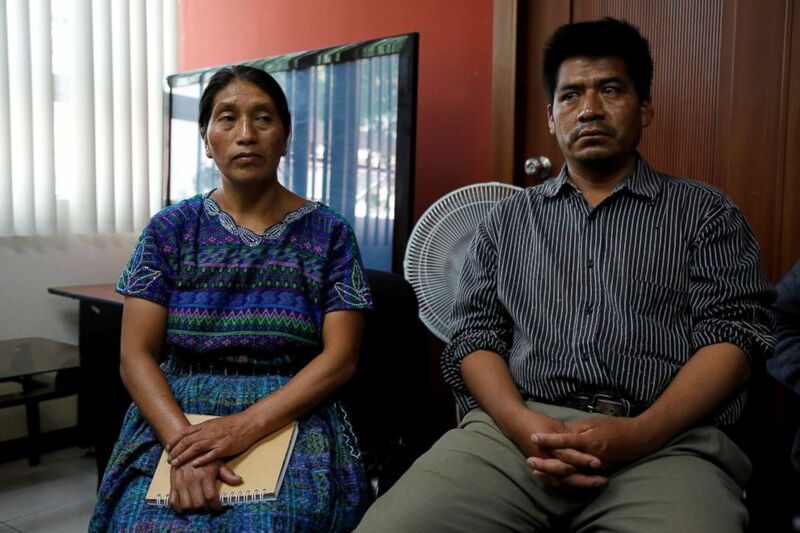 Dominga Vicente and her husband Mario, relatives of Claudia Gomez, a Guatemalan immigrant killed by a U.S. Border Patrol officer on Wednesday while entering illegally to Texas, hold a news conference in Guatemala City, Guatemala, May 25, 2018. It's unclear why in a subsequent release by Border Patrol, the mention of "blunt objects" used as weapons was omitted. A spokesman for Customs and Border Protection acknowledged both statements, but, "outside of that we don’t have anything additional to offer as the FBI is in charge if the investigation," he wrote. The FBI, Texas Rangers and the U.S. Customs and Border Protection’s Office of Professional Responsibility are all investigating what led to Gomez's death.